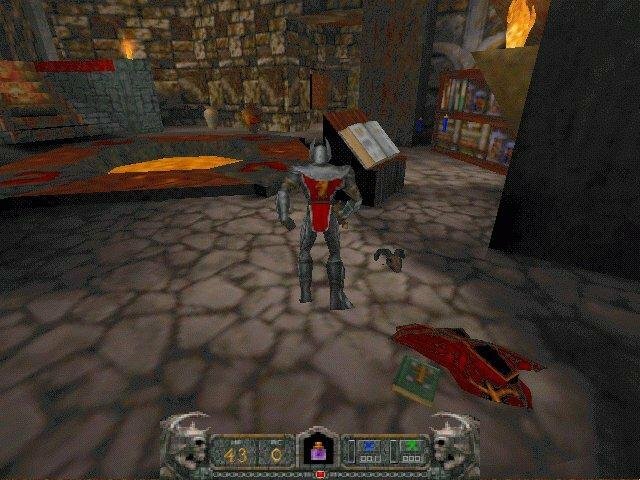 Description: Hammer of Thyrion is a cross-platform port of Raven Software's Hexen II source. Portal of Praevus are trademarks of Raven Software Corporation. of these software companies in any way. under the GNU Public License v2. - Software renderer: Fixed scaling console backgrounds whose dimensions are not the default 320x200. One such example is the "Game of Tomes" mod which has a 1024x768 conback.lmp. - Hexenworld server: Added "-protocol x" command line option to force the server to use a specific protocol (25 or 26), if so required. - Amiga: Video fixes. On AROS, the game does not 'freeze' in fullscreen mode anymore if the 'Timidity:' assign is not present. - Windows: Visual Studio builds no longer require yasm or nasm. Tested compilation using VS2015-update/2. - DOS, PCI sound driver: Updates, more Intel HDA chipsets recognized. - DOS, 3dfx opengl: Macronix (MX86251) variants of Voodoo Rush boards are now functional. - DOS, 3dfx opengl: Further updates/fixes to opengl and glide drivers. Updates to DXE exports so that more opengl driver builds would work without requiring an engine recompile. - Other minor fixes/tidy-ups elsewhere in the source.